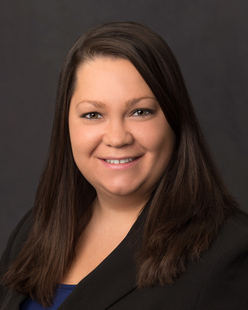 Pamela Garman is an Associate in the Litigation Department in the firm’s Billings office. Prior to joining the firm, Pamela served for two years as a law clerk to the Honorable Carolyn S. Ostby, for the United States District Court in the District of Montana. Pamela received her undergraduate degree from Lewis & Clark College in 2011, and graduated with honors from the University of Montana School of Law in 2014. While in law school, Pamela served as the Executive Editor of the Montana Law Review, competed on the National Moot Court team, and served as vice-president of the Women’s Law Caucus. Pamela currently serves on the American Bar Association Young Lawyers Division Legal Innovation Team and as Associate Editor of the Young Lawyers Division’s flagship publication, TYL. ABA Young Lawyers Division—Legal Innovation Committee Member (2018–2019 term). TYL (The Young Lawyer)—Editorial Board, Associate Editor (2018–2019 term). Professional Conduct Rules Require Technological Competence? Welcome to Twenty-First Century Law Practice, 23 TYL, no. 2, at 12 (Winter 2019), co-author. Chevron Collapses a CERCLA Artifice: Owner Means Owner Even For The United States, 13 ABA Superfund and Natural Resource Damages Litigation Committee Newsletter, 10 (January 2018), co-author. Business Torts: A Fifty-State Guide (Montana Chapter) (Wolters Kluwer 2016 and 2017 editions), co-author. Recent Decisions Affecting the Montana Practitioner: Reichert v. State ex rel. McCulloch, 74 Mont. L. Rev. 225, 232 (2013). Recent Decisions Affecting the Montana Practitioner: Malpeli v. State, 74 Mont. L. Rev. 459, 464 (2013).